Within the information on Investing in Cape Verde there are articles related to property and investing in property on islands, land, commercial property or business in Cape Verde. There is also snagging, furniture suppliers, Insurance Services for your Property. Legal matters and issues for consideration as well as the Annual Property Tax (IUP). Within each of the opened pages below there are further text links to other webpages or literature. Most of the article headings also contain links which open up to information about that subject. Most investors are buying property on islands that are currently being developed for more tourism. More resorts and apartments are being built on those same islands. Where there are properties for rent and tourists looking for accommodation there will be a number of rental agencies looking to rent out your property or looking for tourists to rent it, by advertising your property on their websites. A number of Property Rental Agencies also provide management services. Contact the different agencies but also seek information about these agencies offering this or other services on an island, by asking property owners about their experiences with one or more agencies. You may find that there will be a number of different experiences, but then at least you can decide on whose service you would want to use. There are numerous 'Chinese Loja's' selling imported goods from China including household items and electrical goods. Those purchasing electrical goods from the Chinese Loja should be aware that items will not carry any European Safety Test emblem, so caution should be a factor before purchase. A number of shops have been opened by Europeans on the main islands, which sell items imported from Europe or other countries, which I hope will meet safety and quality standards. On the less populated islands there will be fewer shops, services and suppliers. For those looking for furniture and furniture packs, a few suppliers will have imported items from the UK, Europe or sourced furniture from Indonesia or other Asian countries. These suppliers will have paid import tax on the goods, therefore you should expect to pay a higher price. Some investors had chosen to ship goods over in a container to Cape Verde. Others who visit will bring items over on the plane or ask friends and family to bring items over on their behalf, these could include small or lightweight items of furniture, soft furnishings, electrical goods or other items. Where possible we shall include some comments from other people's experiences. A number of people will come to Cape Verde and look at property while they are here. There are a number of Agents and Agencies based in offices on the islands, some with more property for sale on the island on which they are situated, then fewer on some of the other islands. Again, there are more Real Estate Agents/Agencies based on the main tourist islands. 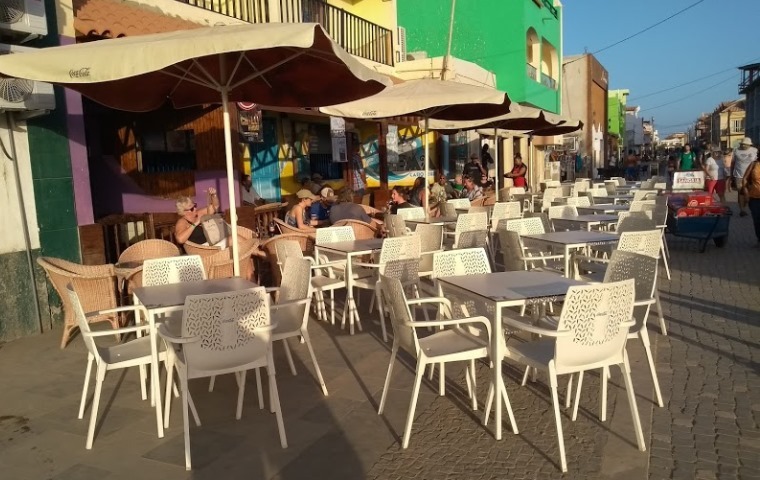 There are also agencies in the UK and other countries who advertise properties for sale in Cape Verde, so you can go online and see what is for sale on which island. Here you will find a number of comments and questions, all of which were mainly obtained from people's experiences over the last 10+ years relating to investing in property here in Cape Verde. They are not meant as guidelines, everyone's experiences will differ and those in similar circumstances may say that something else happened to them or everything went smoothly, however, there are things that some people may want to read and think about, but it doesn't cover everything you need to consider, that would be impossible!